Well, I finally decided to pull the trigger and join the club. New SMP (in black) en route. It’s on the black rubber but in then next few days I’ll get the SS bracelet on order. Then I can send in my 2201.50 PO for maintenance... Excited to receive this new timepiece. Now I have to decide whether to take the new SMP or my trusty 2200.50 PO (purchased in ‘09) on my impending trip to Ecuador. I bought it on SS but keep it on the OEM rubber strap for vacations. BufordTJustice and boatswain like this. I rec taking the SMPmc. om3ga_fan and achilles like this. Arrived today. Photos to follow. LOVE IT. Feel free to post them here! BufordTJustice, thx67 and Pharm_D like this. BufordTJustice, Dohnut, boatswain and 1 others like this. Instant classic!!! 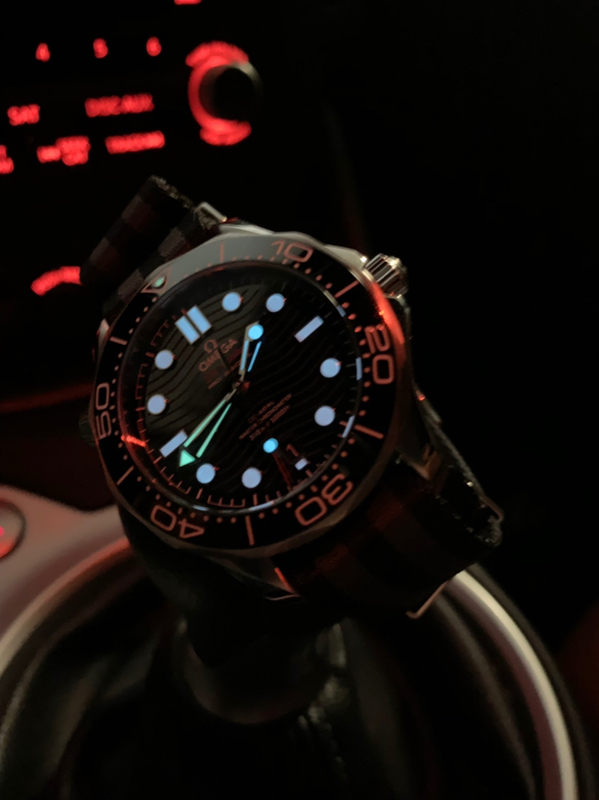 I love the Bond NATO as well!! Keep the pictures coming. 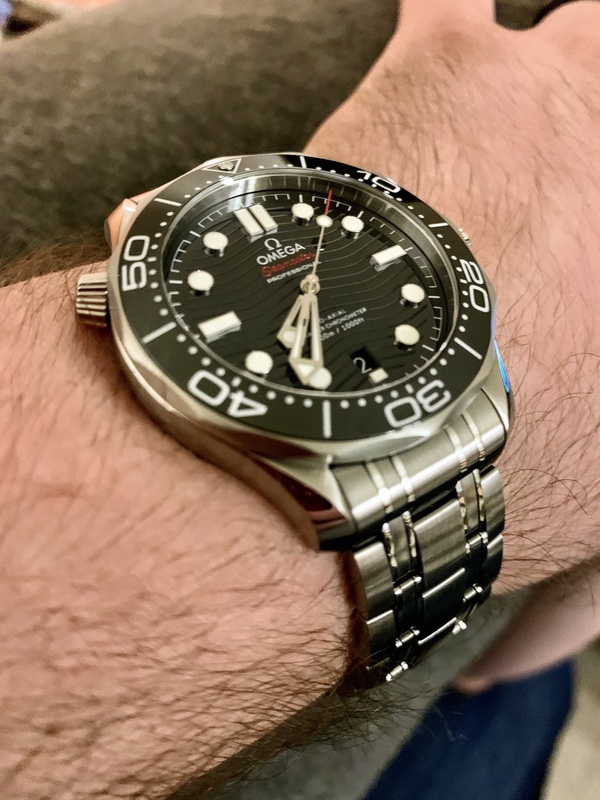 Make sure and put them in the official Seamaster thread as well. I've got a true Sail cloth on the way from Australia to Los Estados Unidos from Time & Tide. Black with red stitch. These photos aren't helping me. I have always loved the SMP in every iteration. Now they have released this model! 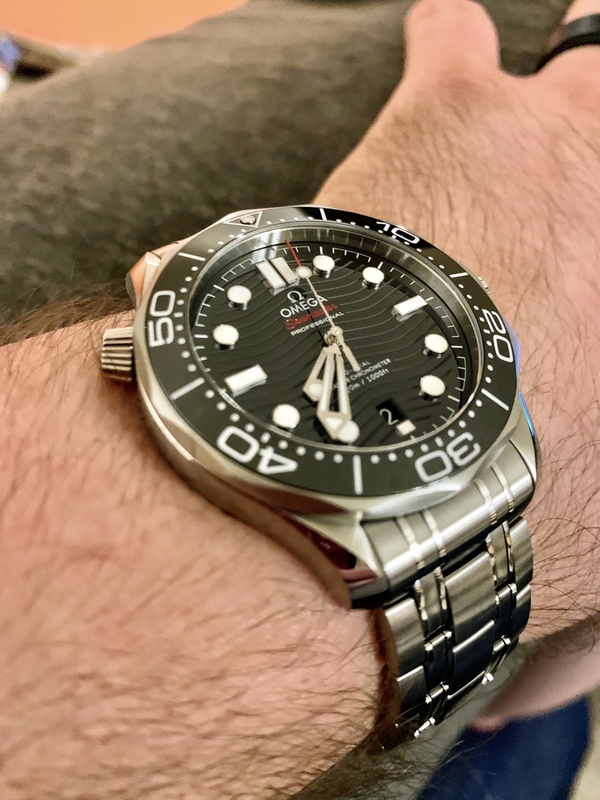 Some of the photos in this thread are better than anything Omega release. Im surprised the grey model isn't more popular though as that is the one that caught my eye in the window. My problem (although its hardly a problem) is im constantly trying to reduce my watches to a small collection that I wear in rotation. Ive bought so many watches over the years that I've literally worn for hours. My most recent was a Christopher ward dress watch. I never wear dress watches! but thought it would be nice to wear for smarter occasions. If and when those occasions arise im not going to wear a christopher ward and leave my omega/tudor at home. So that was sold on. Ive finally learned my lesson with "adding to the collection" and now have a few watches that I wear and love. 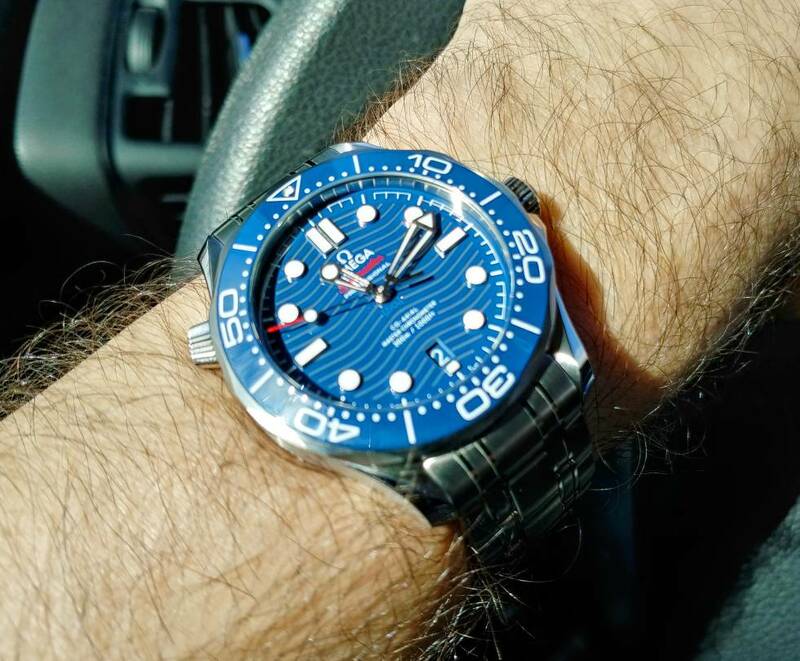 Being fairly active I need a tough watch so the dive watch or variation of, is ideal for me. The new SMP is one of the nicest watches that ive seen for several years. 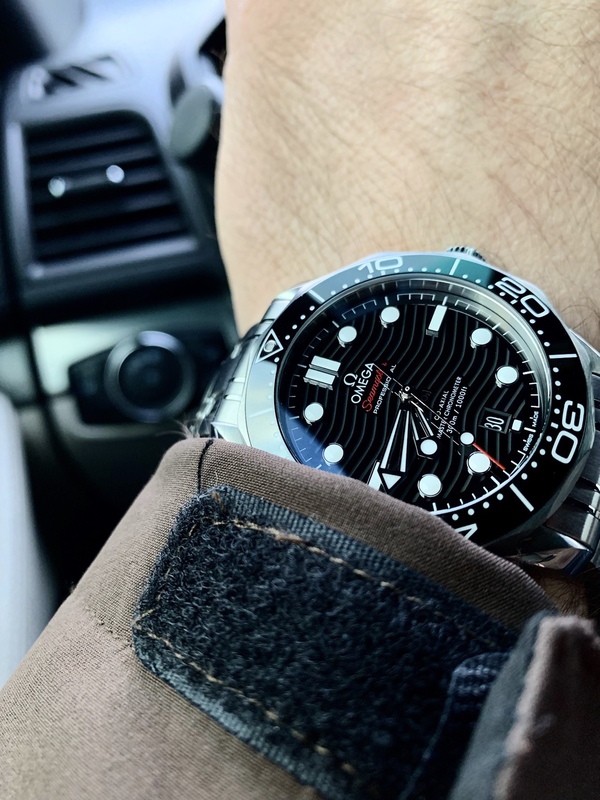 My only struggle now is the blue version is similar to my Tudor Pelagos which is the best watch ive ever owned (which includes Rolex) so that's got to stay. 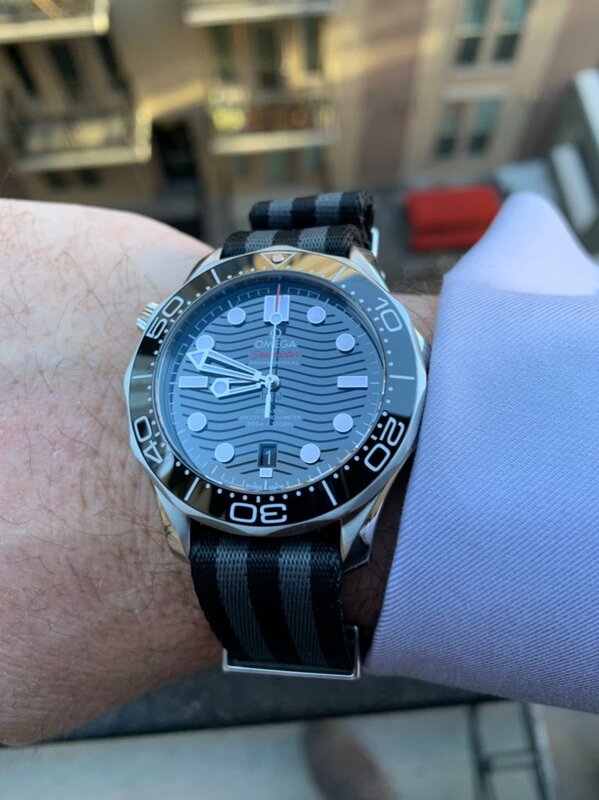 The grey version which is wonderful and a massive variation of the SMPs of various years is close to my grey Aqua terra which is my "dress watch" as its sporty, waterproof and has a wonderful sparkle but the dial is very close to the grey SMP. 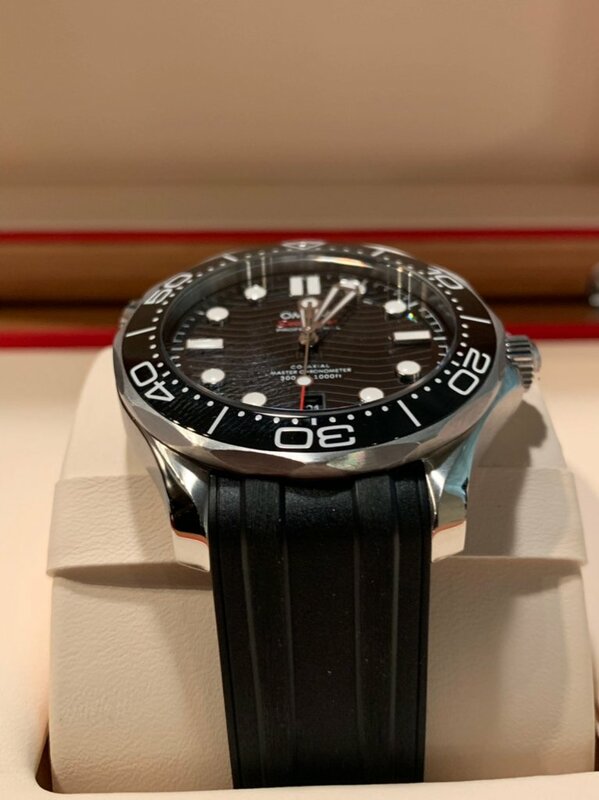 Ive also got a Tudor black bay which is another great dive watch that has a black (dark grey) dial so im struggling with fitting it into the rotation. 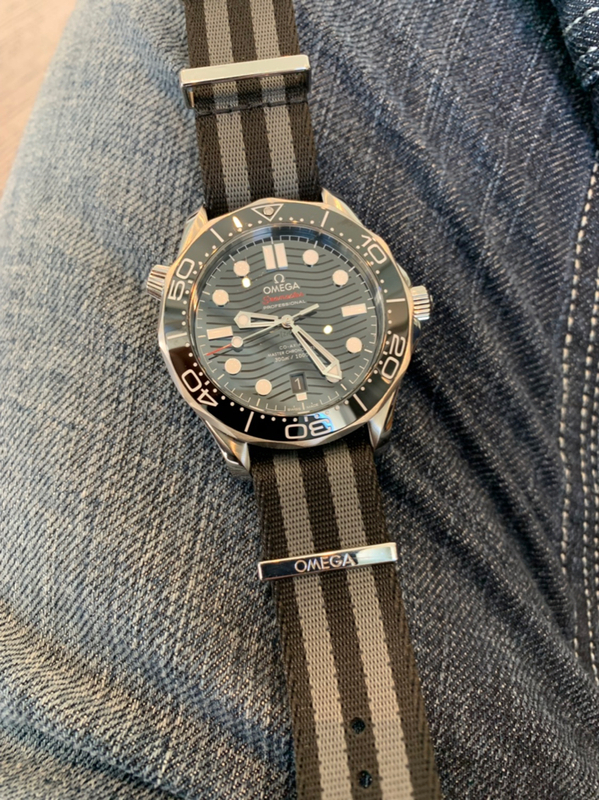 There are many things I love about the SMP but if if was going to be harsh toward it, the HE valve is a bit weird and im thinking the bright bezel markings may get a bit tiring over time. Sword hands should have made a comeback too! Thanks for reading. I may be back at some point with photos of my new SMP. BufordTJustice and J C like this. Precision update. Timing run started on 1/2/19. Worn every day without exception. Stored dial up on my dresser at night for the last 15 days, maybe more. This timing ruin is really great. Settled into a .6 spd fast rate. I did not begin the run with sync to the atomic clock, so ignore that as it was offset from my Seamaster at the start.